Jeb Foods White Garri is one of the varieties of Garri in west Africa, Although you can soak it. 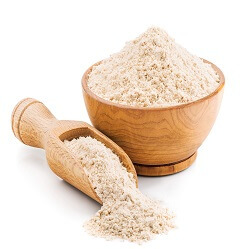 This Variety of Garri is best used for eba / fufu. 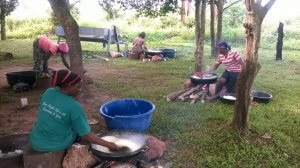 Jeb Foods White Garri is Made by the Bini people of Edo State, Nigeria. 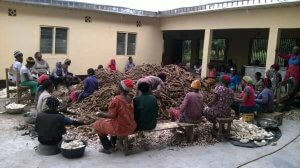 FIBER: Cassava has one of the highest amounts of fiber compared to other sources of food you can find. 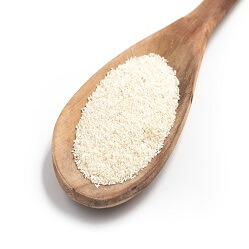 This means that eating Gari (made from cassava) can help your digestion, burn fat and give you more energy. High fiber foods are also known to make you get full very quickly and help reduce the risk of obesity. The fiber is Gari can also help lower your blood pressure and cholesterol levels, as well as help you control your blood sugar. LOW FAT: Foods that contain a high amount of trans fats can put you at risk of many health issues including heart problems, strokes and hypertension. One way to fight this is to eat foods like Gari, which has very low fat. In addition to that, Gari also has a higher amount of protein when compared to other tropical foods like potatoes and yam. Also, Gari is free of gluten, which makes it an excellent choice for food preparation meant for people with celiac disease. 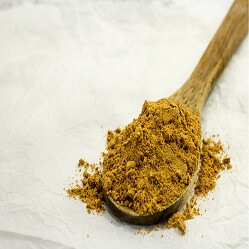 MANY OTHER VITAMINS AND MINERALS: Gari contains moderate amounts of vitamin A, vitamin B, thiamin, riboflavin, pantothenic acid, folates and pyridoxine. In addition to that, it also contains minerals like manganese, iron, and zinc. 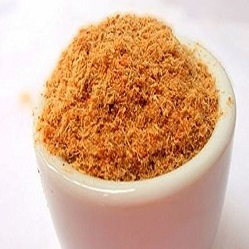 It contains proteins and some essential vitamins. COPPER AND MAGNESIUM: Gari has a very high amount of copper and magnesium minerals. Consuming food high in magnesium helps to promote a healthy long life, by reducing your risk of contracting osteoporosis and at the same time lowering your blood pressure. While consuming a good amount of copper will help a functional and healthy nervous system. starch squeezed out of it, left to ferment and then fried either in palm oil or without palm oil and eaten in a variety of ways. One such way is to drink it, simply add water to the grains stir and there you have it. People often add sugar, groundnut or milk to it – making it a balanced meal/snack. The other way is to cook it in hot water and made into a dough which is eaten with a wide variety of sauces. It is also called gari or gali in some parts of sub-Saharan Africa. 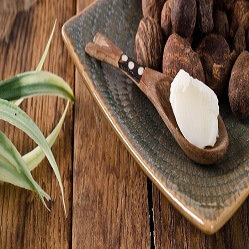 It is a rich source of carbohydrate which is good for our body as it is an indigenous source of energy. Gari can be yellow or white depending on what type of oil is used to fry it. Yellow gari contains more nutrients than white gari since it is fried with palm oil which contains vitamins like A and C. Gari is good on its own but it should be eaten with soup to give a balanced diet. © 2017 Jeb Foods. All Rights Reserved.